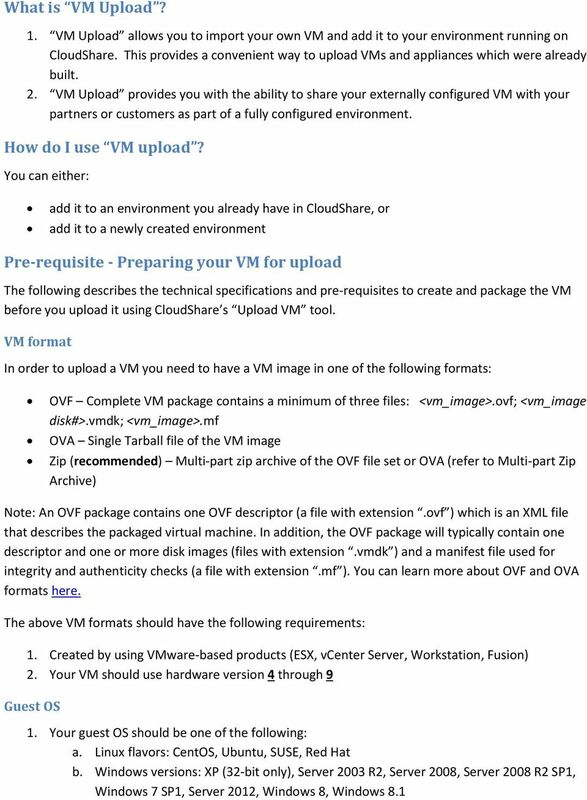 Download "In order to upload a VM you need to have a VM image in one of the following formats:"
10 The next page enables you to add a VM from your Cloud Folder My Uploads tab. 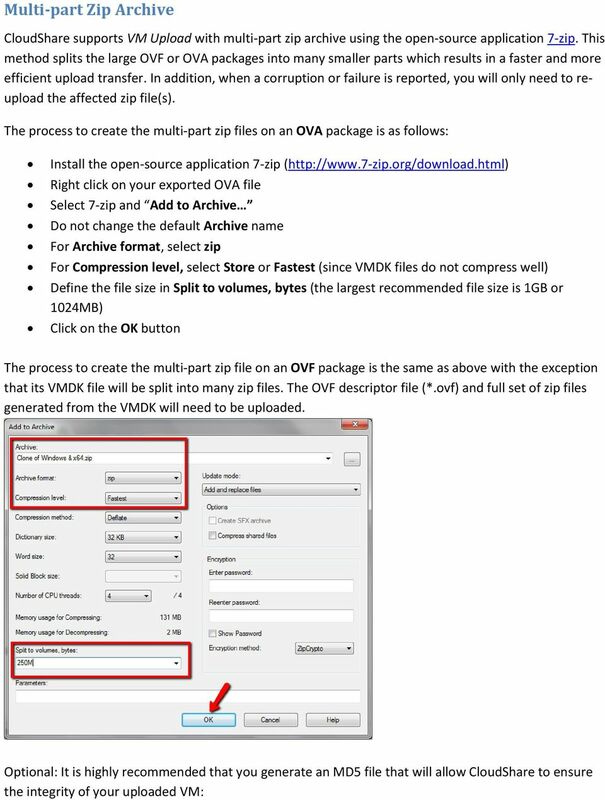 Select the VM files (either OVF or OVA files) to import. Then click the Validate machine button. 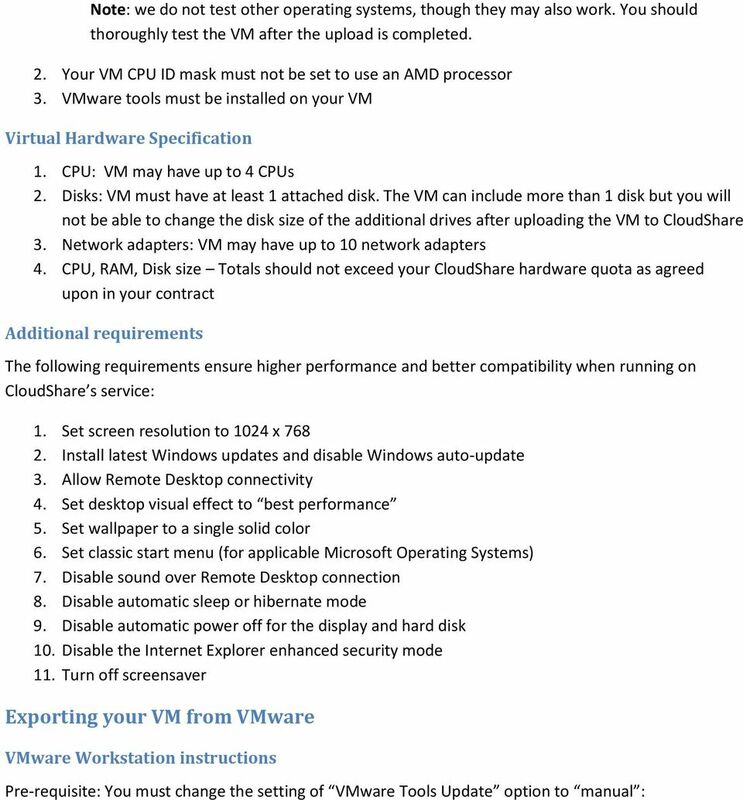 You will then need to provide the following required information, and then click the Add VM button 1. 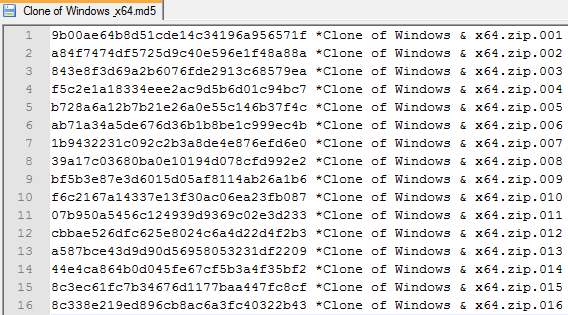 VM name 2. Description 3. Administrator user name 4. 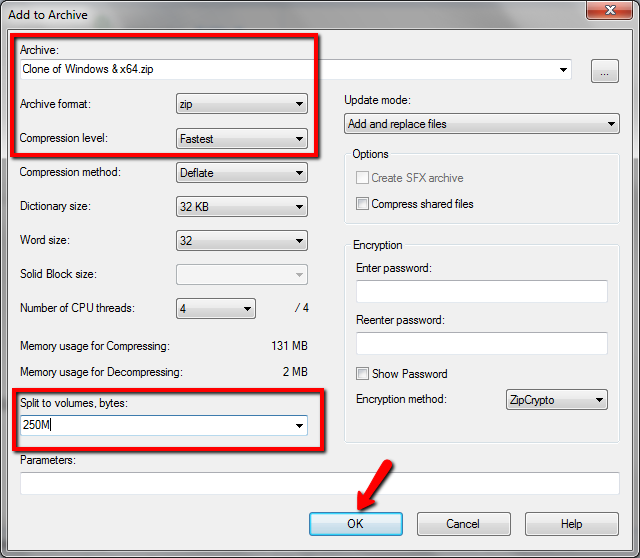 Administrator Password 5. 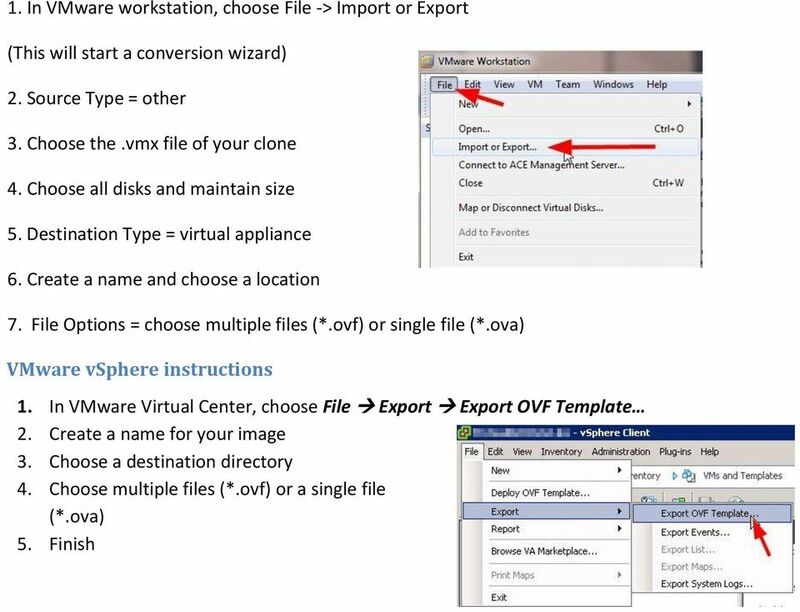 Operating system family (Windows or Linux) This process of adding a VM can be repeated multiple times within any environment. 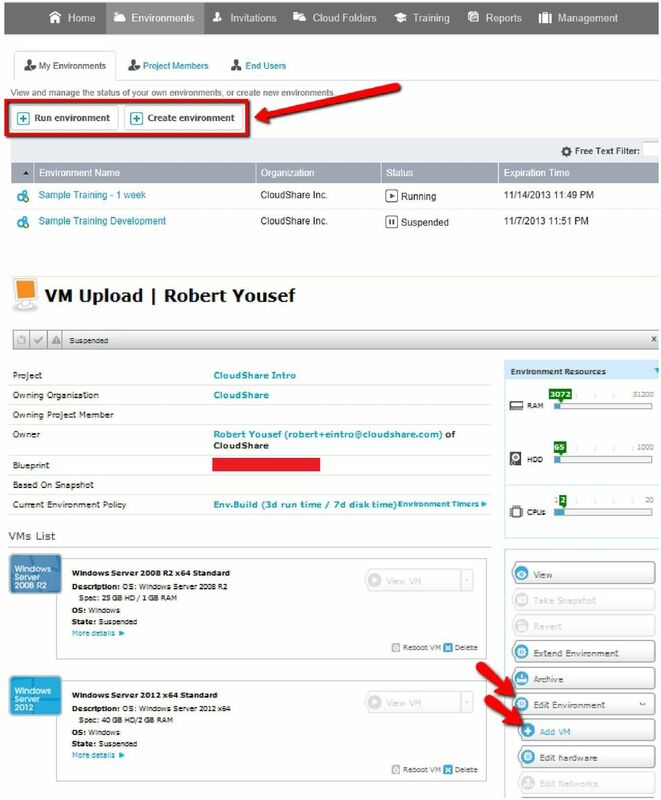 You have the option of selecting VMs from any of the tabs shown above. 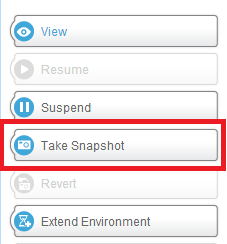 Once you have added the VMs you require, click the Save changes button. 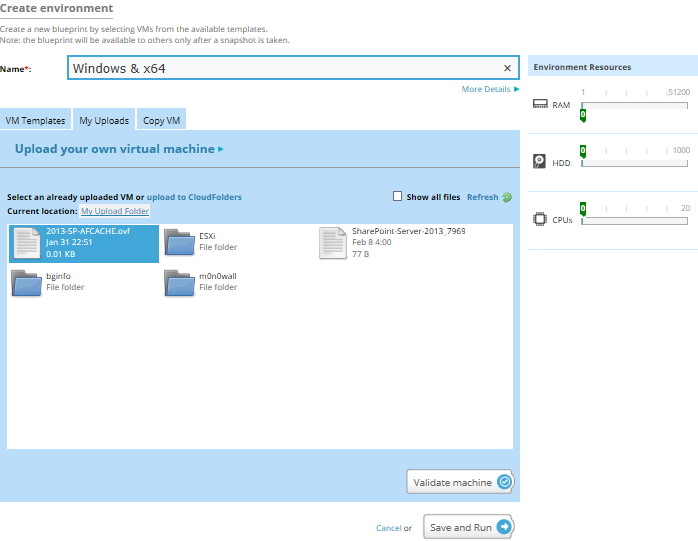 The CloudShare application will validate that the VM is using a supported format and if all validations pass, the import process will start. 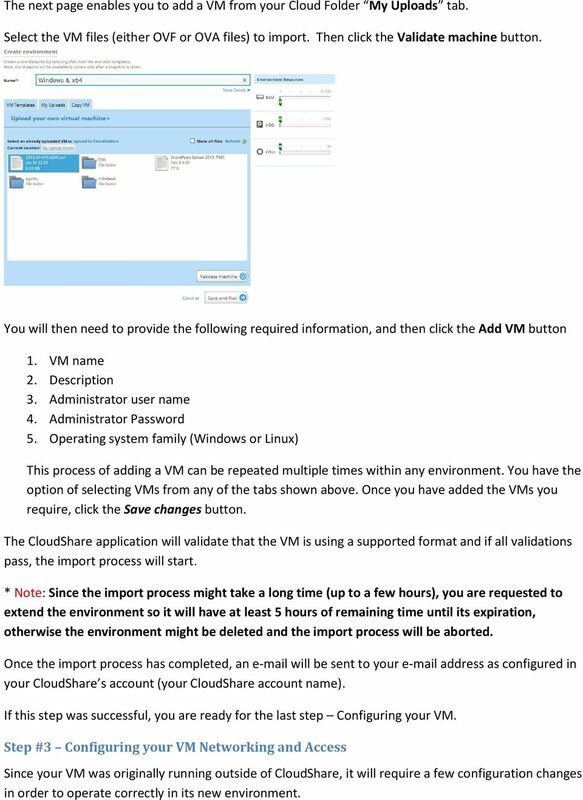 * Note: Since the import process might take a long time (up to a few hours), you are requested to extend the environment so it will have at least 5 hours of remaining time until its expiration, otherwise the environment might be deleted and the import process will be aborted. 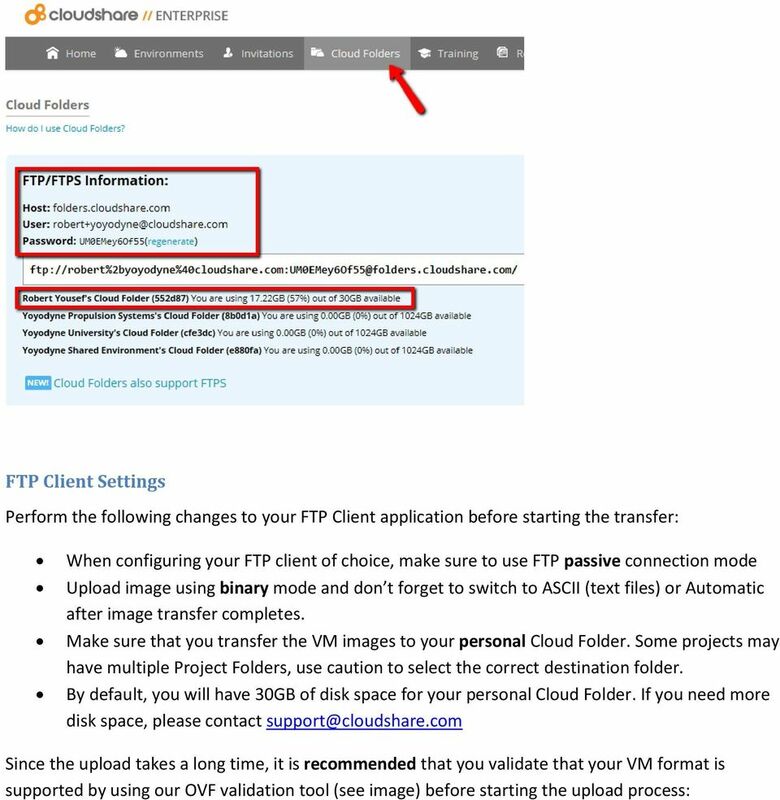 Once the import process has completed, an will be sent to your address as configured in your CloudShare s account (your CloudShare account name). 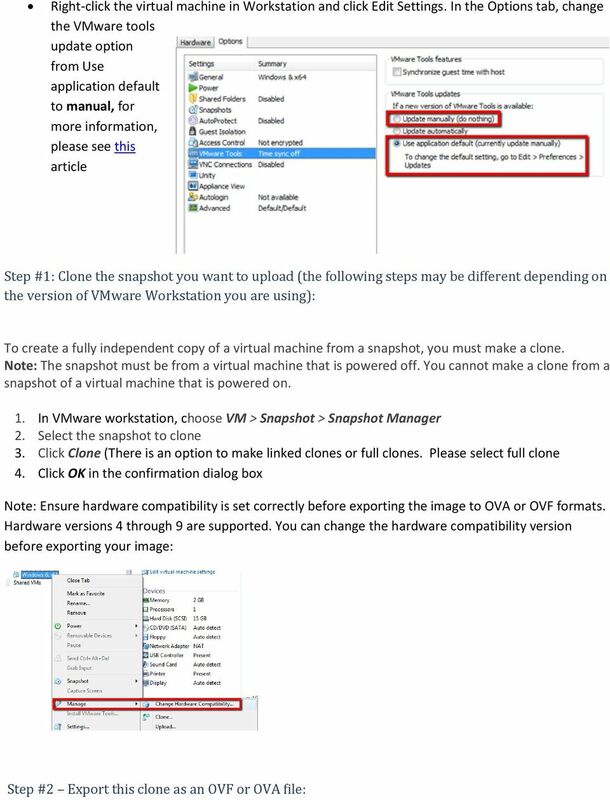 If this step was successful, you are ready for the last step Configuring your VM. 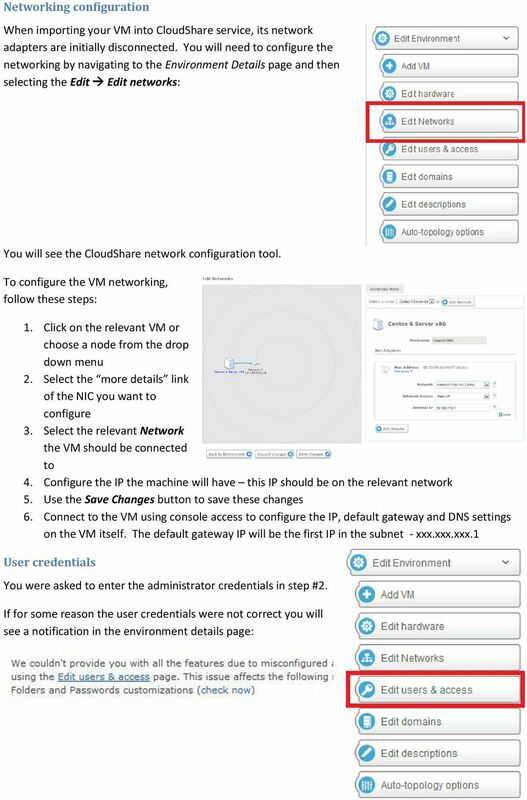 Step #3 Configuring your VM Networking and Access Since your VM was originally running outside of CloudShare, it will require a few configuration changes in order to operate correctly in its new environment. 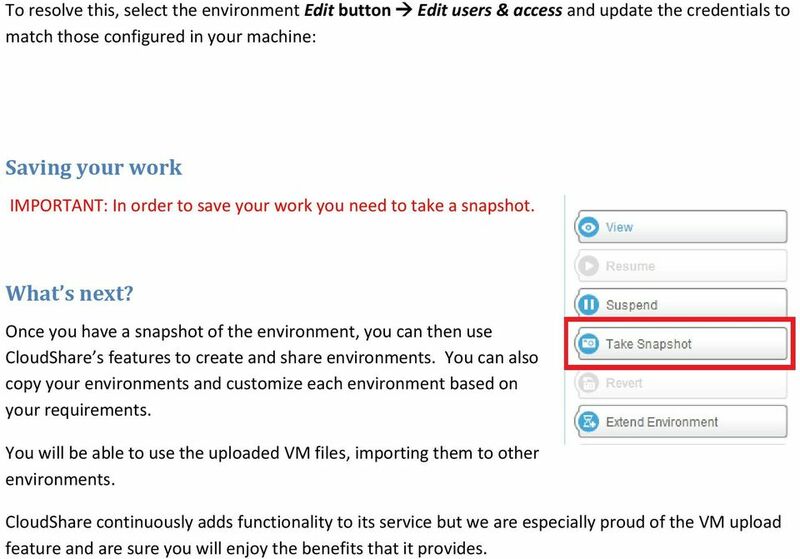 12 To resolve this, select the environment Edit button Edit users & access and update the credentials to match those configured in your machine: Saving your work IMPORTANT: In order to save your work you need to take a snapshot. What s next? 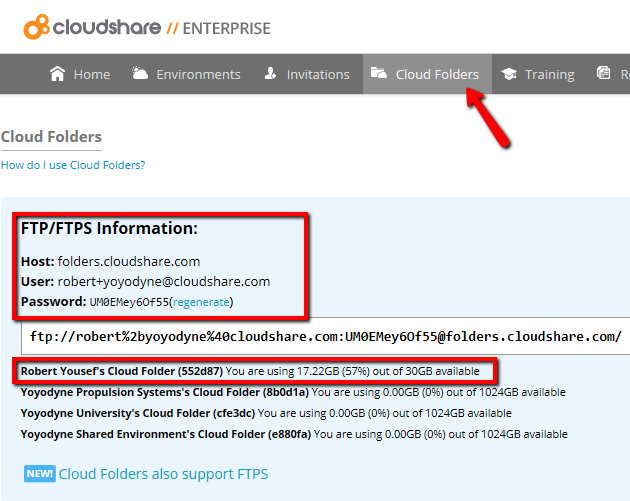 Once you have a snapshot of the environment, you can then use CloudShare s features to create and share environments. 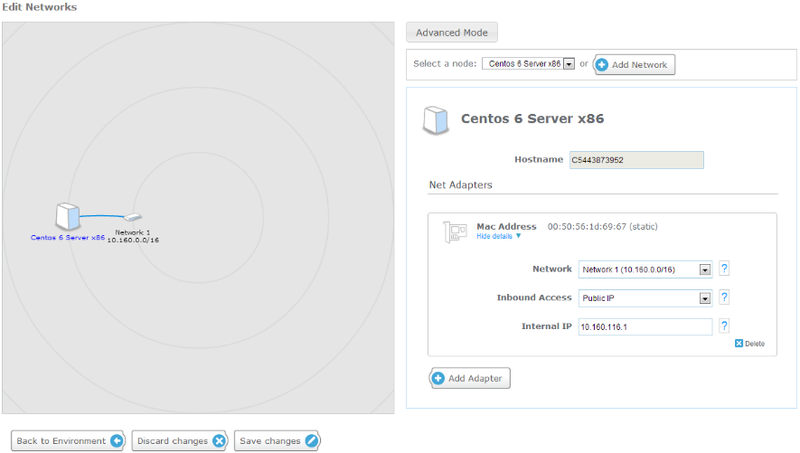 You can also copy your environments and customize each environment based on your requirements. 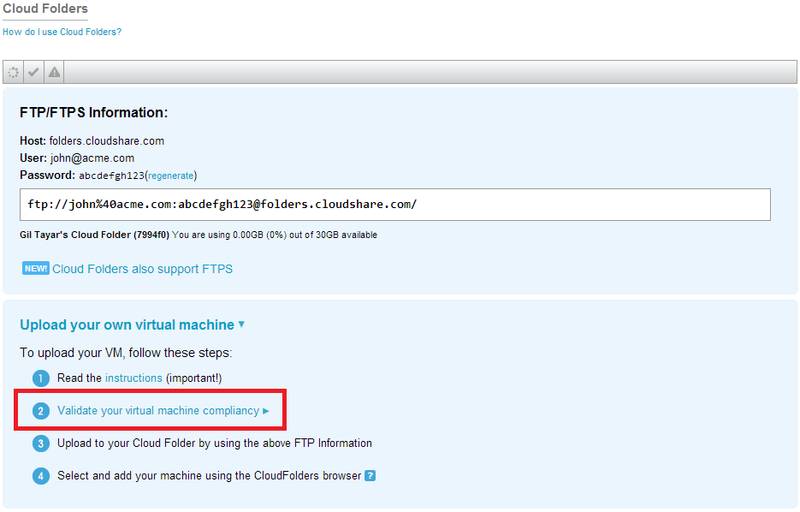 You will be able to use the uploaded VM files, importing them to other environments. 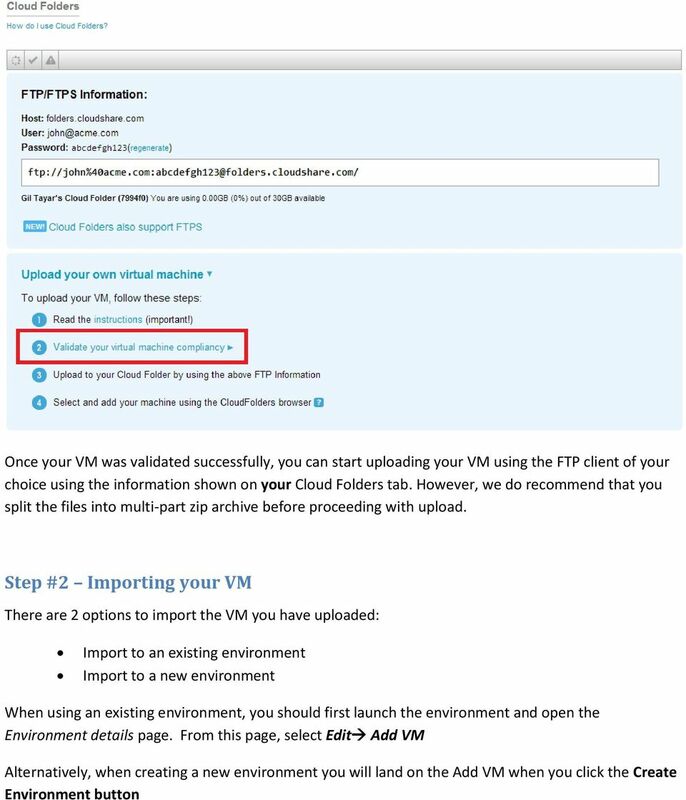 CloudShare continuously adds functionality to its service but we are especially proud of the VM upload feature and are sure you will enjoy the benefits that it provides.